Close to tube and rail services. Good size of bedrooms. Beds were all comfy. Good storage in rooms. Apartment was clean. It was in a great location for travelling around London. Bethnal Green was welcoming. The apartment had everything we needed. Shops are literally on your doorstep with a wide variety of restaurants. You're only a five-minute walk to Bethnal Green or Whitechapel underground station. The manager was friendly and helpful. Assenza di rumorosità, nonostante due camere fossero su fronte strada. Buona posizione della struttura. Lokalizacja super. Połączenie z centrum rewelacja. Autobus 100 metrów, metro 500 metrów. Tesco obok, mnóstwo fast foodów. London Apartments Bethnal Green - 280 This rating is a reflection of how the property compares to the industry standard when it comes to price, facilities and services available. It's based on a self-evaluation by the property. Use this rating to help choose your stay! 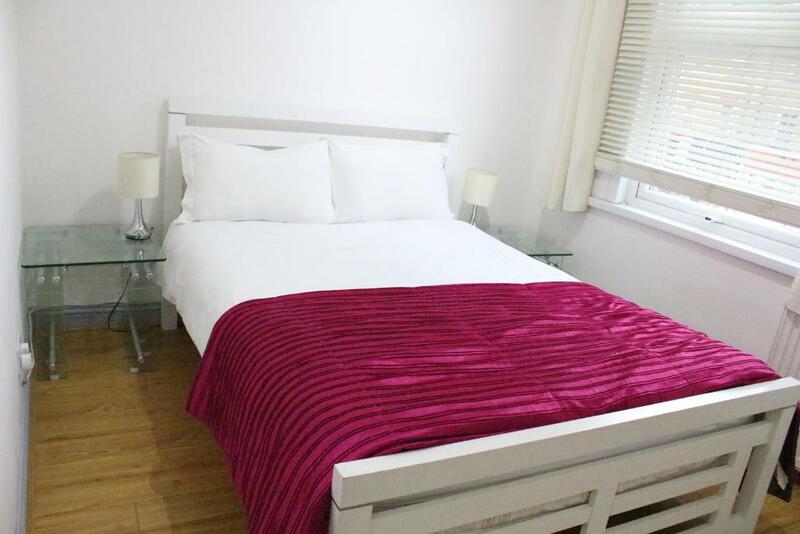 In the heart of Bethnal Green, London Apartments Bethnal Green (280) is just a 5-minute tube ride from the Olympic Stadium. 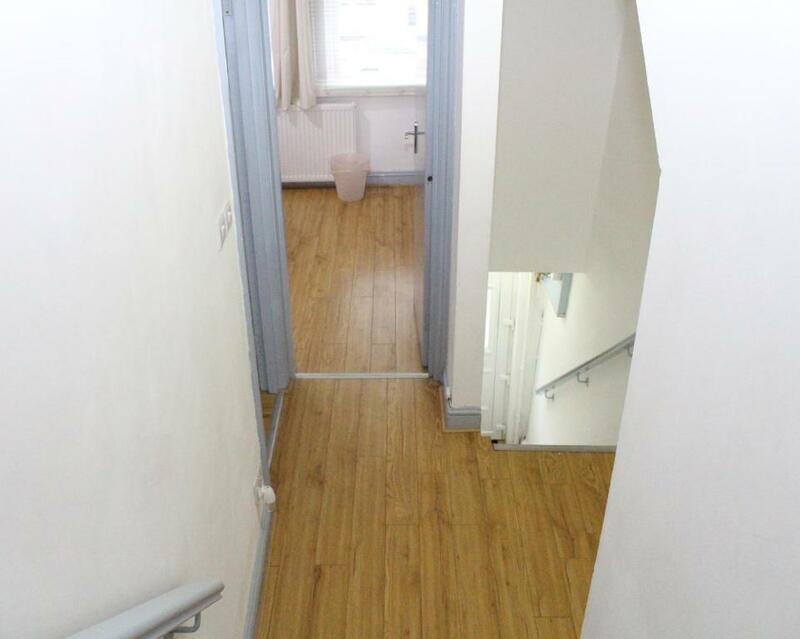 The spacious apartment has free Wi-Fi and contemporary décor. With a stylish minimalist design, the apartment has a living area with a flat-screen TV and DVD player. 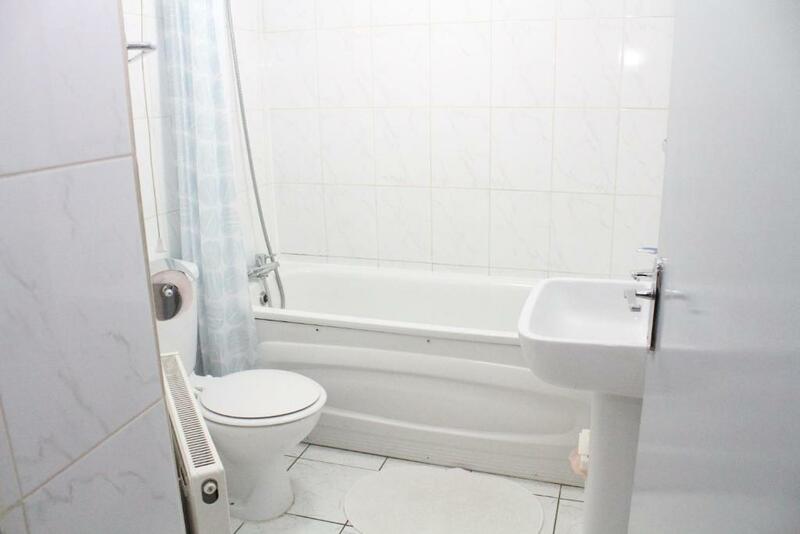 There are 2 separate double bedrooms, and a private modern bathroom with a hairdryer. 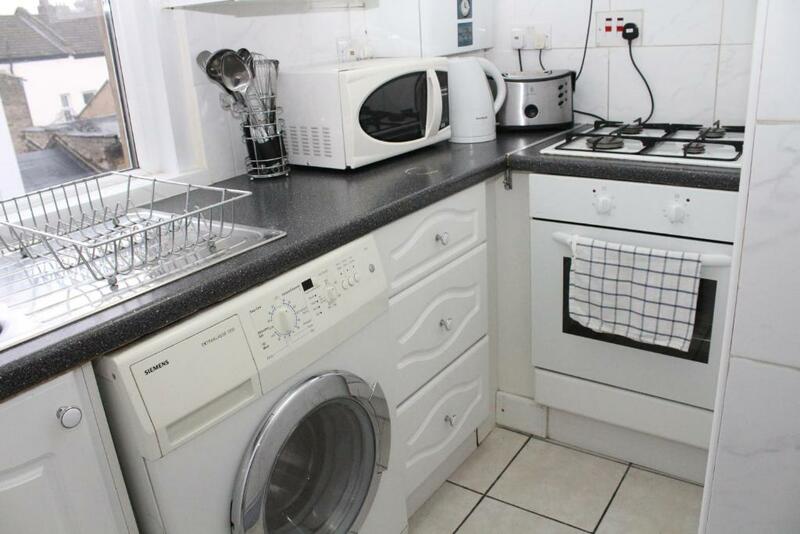 The compact fitted kitchen features an oven, microwave and refrigerator, and there is also a cozy dining area. 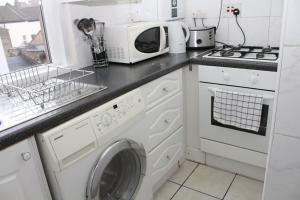 The Bethnal Green Apartment has a private entrance, and tea/coffee facilities are provided. With prior arrangement and at extra charge, pick up and drop off to London airports can be provided. Bethnal Green Underground Station is less than a 10-minute walk away, and Liverpool Street station is at a walking distance of 20 minutes. 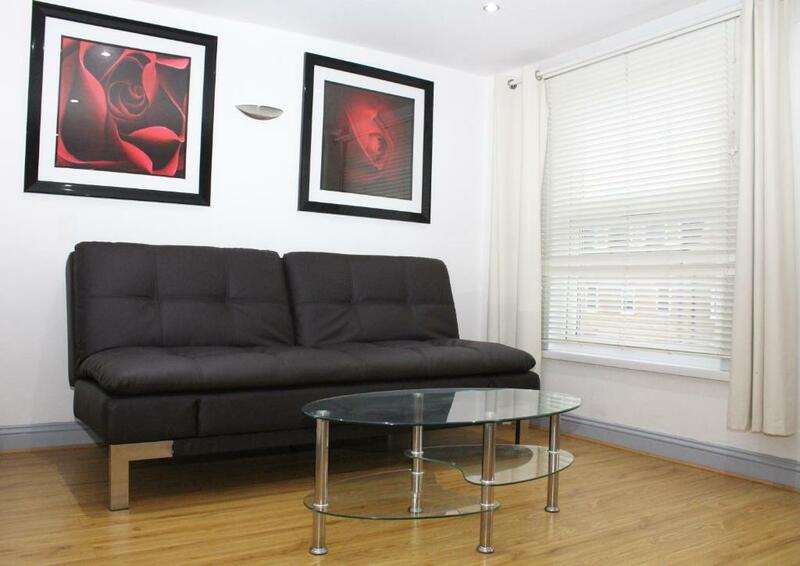 When would you like to stay at London Apartments Bethnal Green - 280? This apartment has two double beds and one sofa bed. The apartment is in a residential neighbourhood, it has many restaurants, bars and pubs at a walking distance. Bethnal Green Underground Station is at a walking distance of 10 minutes which runs on (Central Line) and it takes up to 15 minutes to travel to Central London. House Rules London Apartments Bethnal Green - 280 takes special requests – add in the next step! A GBP150 damage deposit is required on arrival (around USD194.33). This deposit will be fully refunded 14 days after check-out, as long as there isn't any damage to the property. London Apartments Bethnal Green - 280 accepts these cards and reserves the right to temporarily hold an amount prior to arrival. With prior arrangement and at extra charge, pick up and drop off to London airports can be provided. Please contact London Apartments Bethnal Green (280) for more information and prices. This property accepts both EUR and GBP. Please note late check in after midnight is possible at a surcharge of GBP 15 per hour. Upon arrival at the property, guests should press the number 7 Voss Street bell for a member of staff to sign them in at the apartment. 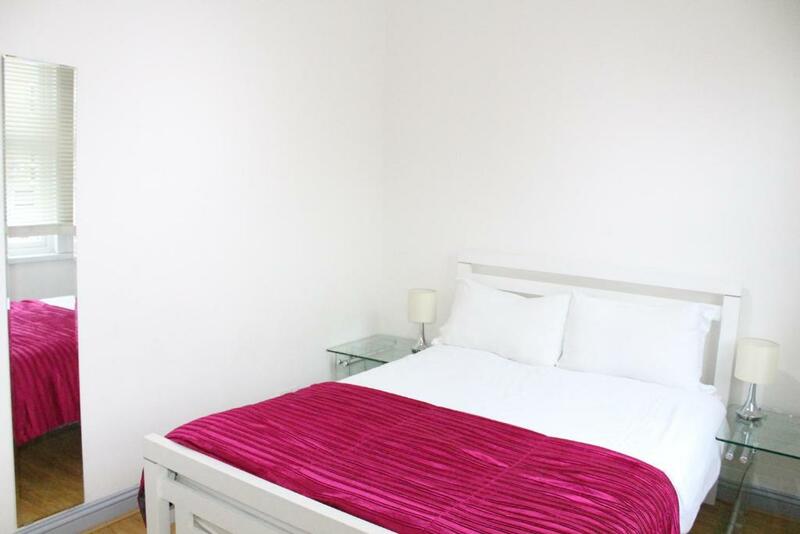 This apartment is located on top of a fast food restaurant and is on 2 floors accommodating 6 people in total, with 2 separate bedrooms accommodating 4 on double beds, and 1 sofabed accommodating 2 in the living room. 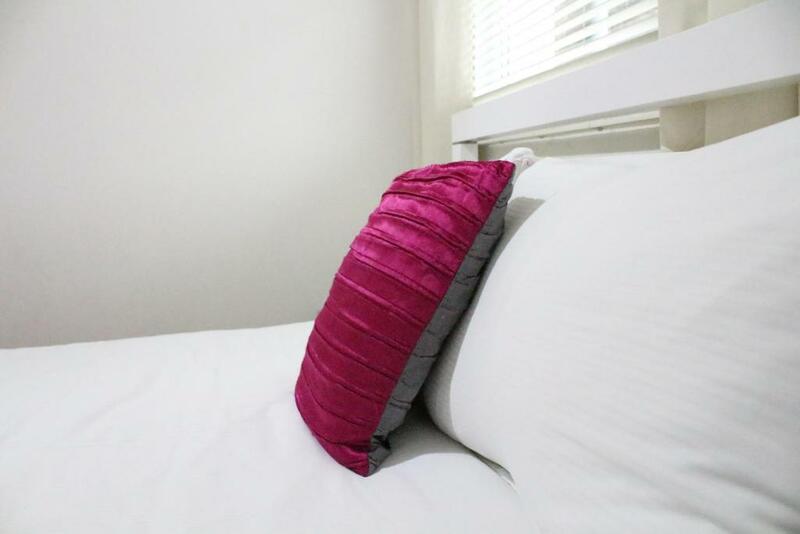 Guest arriving early can leave their luggage at the apartment, and can check in any time after 15:00. Please note that this property cannot accommodate party groups or groups of guests under the age of 24 years. However, all family groups are welcomed. The property reserves the right to pre-authorize the card provided prior to arrival, to secure the reservation. Kindly note London Apartments accepts debit cards and cash only on check-in, we do not accept credit cards. Please inform London Apartments Bethnal Green - 280 of your expected arrival time in advance. You can use the Special Requests box when booking, or contact the property directly using the contact details in your confirmation. A damage deposit of GBP 150 is required on arrival. That's about 194.33USD. This will be collected by credit card. You should be reimbursed within 14 days of check-out. Your deposit will be refunded in full by credit card, subject to an inspection of the property. The noise at nights was generally annoying as on a busy road. Also noise travelled from surrounding apartments. I have to mention some flaws that make the stay little bit uncomfortable. There is some very unpleasant noise coming out of the wall - all day, all night, at irregular intervals ... Especially at night it's unpleasant when it gets you out of sleep. 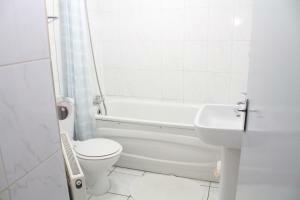 You have to take shower very carefully so that water does not drip into the bedroom under the bathroom. The street outside was noisy and you could hear next door talking loudly into the night. Location isn’t as specified on booking.com. It is accessed directly from Bethnal Green Road above a takeaway, not on Voss Street. This was fine for us as it’s only a minute round the corner, but we had hair and makeup booked for a works Christmas do on the Friday so it was a bit of a pain having to contact them to change the address (the front door doesn’t have a number on which made it a little tricky) We were also only provided with one key between 6 of us. We did call the company up and asked for another but we had to collect it during office hours (office is round the corner) and the guy we spoke to wasn’t there when we rang at about 09:30am so had to rearrange our plans for the day around when we could go pick up the extra key. Would definitely recommend asking for the additional key as soon as you arrive, or maybe even request it before you arrive. Difficult to find the apartment at first as the main door is located down a side alleyway and took a few minutes to get ahold of the apartment keys. Once this was resolved everything else was straight forward.